How do I Purchase Documents? 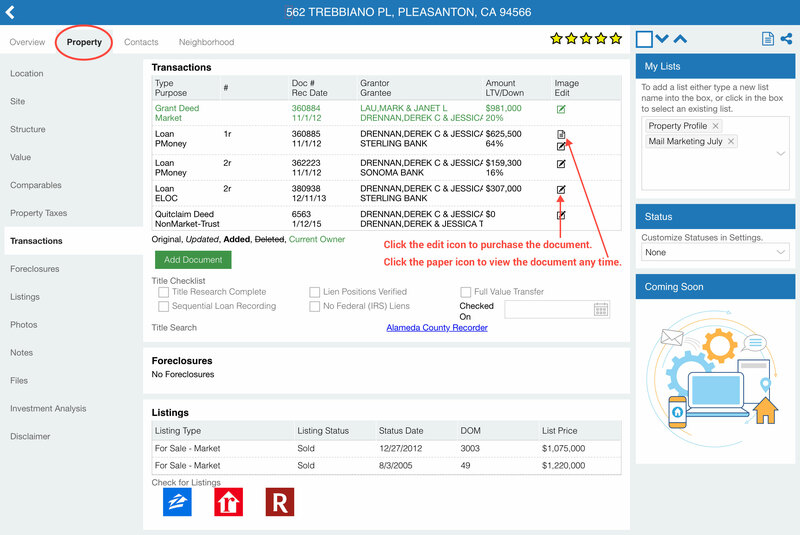 From the Property Profile>Details>Transactions click on the edit icon on the right of the line item you want to purchase. Once you purchase the document, it will automatically appear. To view it at a later date, all you need to do is go to Details>Transactions and click on the paper icon that will appear above the edit icon.